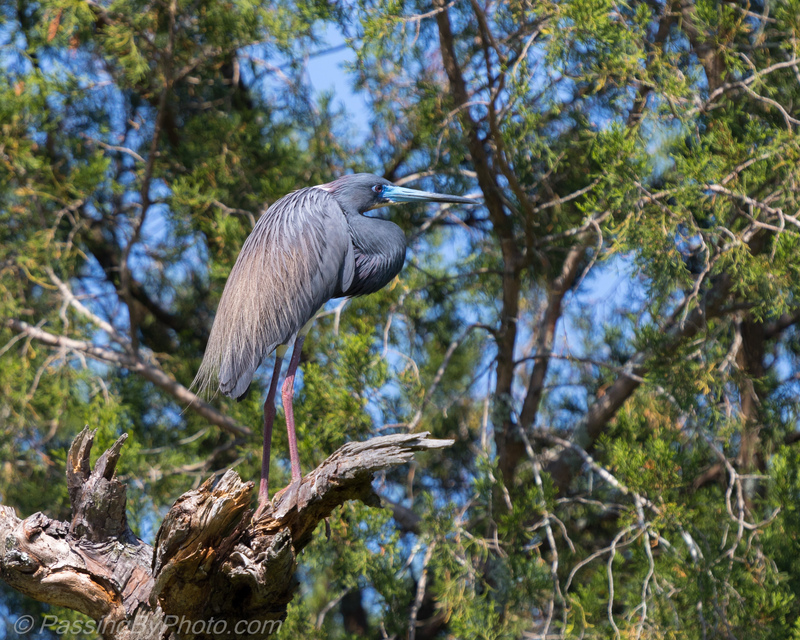 The Little Blue Herons are working on their nests on the interiors of two little islands. They get into squabbles with their mates or their neighbors then take a spin around the island, sometimes taking a time out before getting back into the fray in the dense undergrowth. Out in the open it is easier to see their beautiful blues. 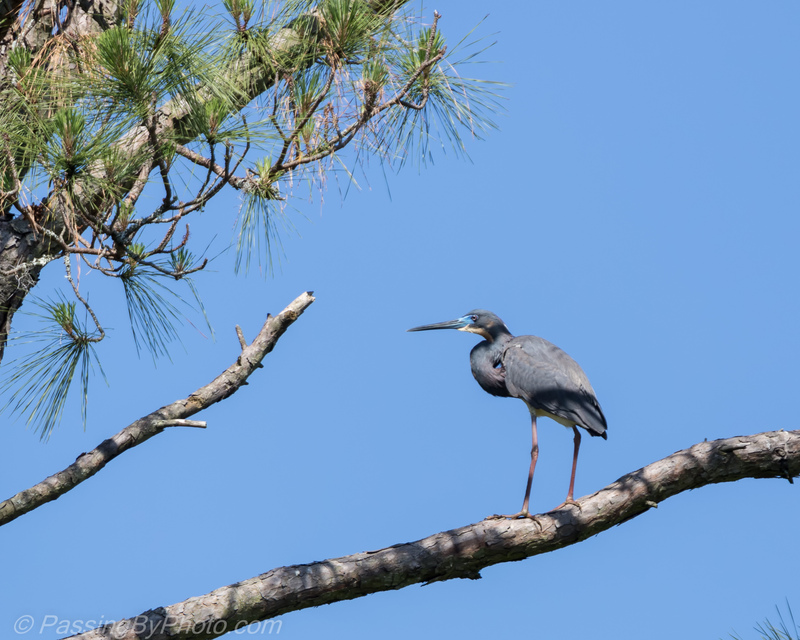 The intense blue on their beaks is a match for the blue sky on this April day. 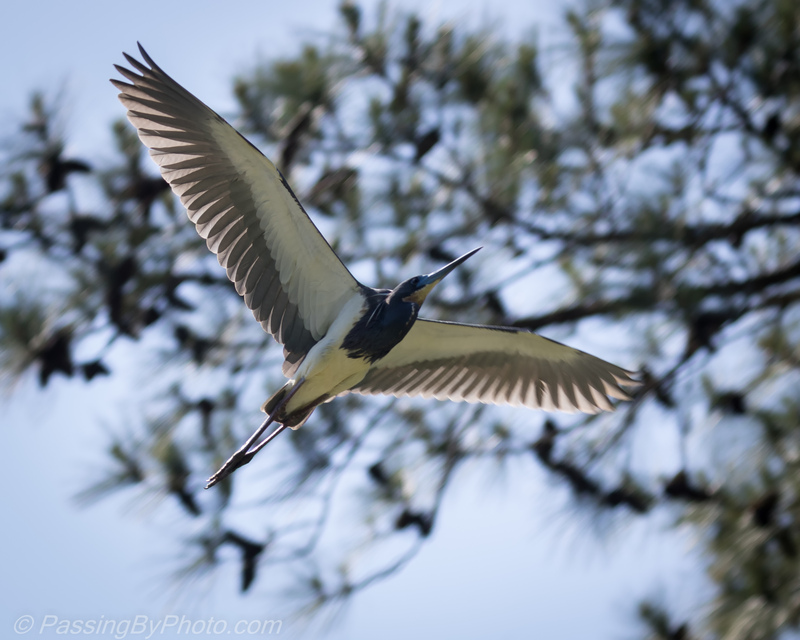 An in-flight photo from underneath gives a perspective on their wing spans and shows off that their bodies aren’t all blue. 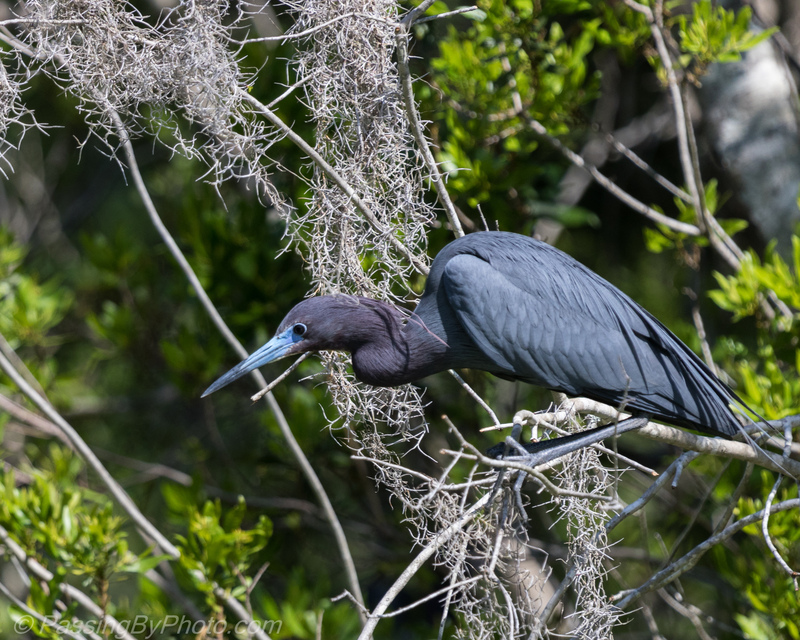 The Little Blue Heron’s various blues seem more purple than blue in the bright sun. This one is about to disappear into the greenery towards his nest. Beautifully captured, especially like the in flight shot. Thank you, Belinda! It’s cool to be underneath and the bird from a different perspective.